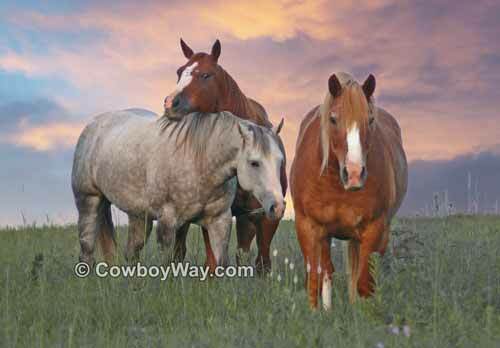 Below are pictures of horses. For an article on how to take pictures of horses, please scroll to the bottom of this page. 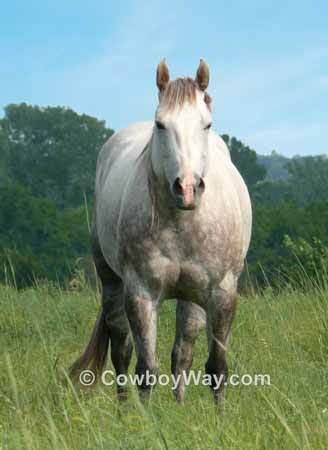 For links to more horse pictures (Paint horse pictures, draft horse pictures, and more), please see the navigation at the bottom of this page. There's a difference between a horse picture and a good horse picture. Below are some general tips on how you can take a better picture of your horse. Fill the frame! When you look through your camera's viewfinder, your main subject (which, in this case, is your horse) should fill the vast majority of what you're seeing. If necessary, move in closer or use the zoom (that's what it's for). If you simply can't fill the frame with your subject, and you still think there's a good reason to take the picture, all may not be lost. You may want to go ahead and take the shot but then crop the picture later so that the main subject fills the photo. In fact, many professional photographers feel that most photos benefit from at least a little cropping. If the photo is of a horse standing still it's usually most flattering for the horse to be standing with its feet close to square (front legs even with each other, back legs even with each other). Be careful when taking a picture of a horse from a forward angle. Taking a photo of a horse from a forward angle may cause it to appear to have an unflatteringly large head and shoulder, make the back appear longer than it is, and make the hip appear smaller. Forward-angle horse pictures can work out very well, but you must be very careful about the angle. It is usually more flattering to take a picture of your horse from from the side of the horse, or better yet, from the side and slightly behind. On a related note, you should rarely, if ever, shoot your horse from a downward angle. Most of the time this is simply not flattering. Shoot the horse from a level angle, or even shoot slightly upwards. Squat down, if necessary, or place the horse on slightly higher ground or yourself on slightly lower ground. Photographing a horse at a downward angle can be particularly easy to do when standing on level ground with a young horse or pony. Be especially careful of your angle when shooting smaller equine subjects. Ears up! A horse with its ears back or down in a picture looks like a person with a huge, unhappy frown on its face. Unless you are specifically capturing a horse's emotions where the ears' being back or down is appropriate, you will want to make sure the ears are up. Make sure the background of the photo is clean and uncluttered. 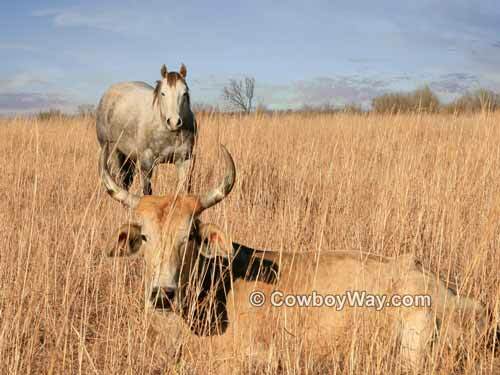 Your horse should dominate the photograph, with little or nothing to distract the eye. Most often a "bland" background is a good background. If your background is distracting, move the horse, change your angle, etc. Shadows can be as distracting as a cluttered background. Minimize them or keep them out of the photo all together. Usually, you will want your horse to be centered in the picture. However, off-center framing can be perfect for some shots. For example, capturing a bronc rider in a moment of exciting action, a little offside so you can see the reaction of the crowd in the stands, may make a good picture even better. If you see a good shot, take it! Don't hesitate! Hesitating, for some reason, is a common reaction, but one that often costs a good photo. If your subject is taller than it is wide, turn the camera to vertical before you snap the shutter. Be patient! Take your horse pictures with the realization in mind that you will probably have to take a lot of photos to get one good one. For tips on how to take horse pictures, with sample pictures of good and bad photos, please see this page: How To Take Horse Pictures, With Sample Pictures.